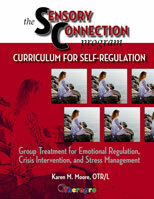 The Sensory Connection Program Product Line represents a creative and theoretically sound occupational therapy intervention program for adults and adolescents with mental health problems. 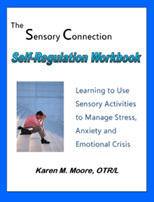 This workbook was developed to help adults and adolescents learn self-regulation skills that emphasize the use of sensory strategies. 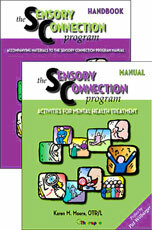 All of the Sensory Connection Program Products are now available through Therapro.